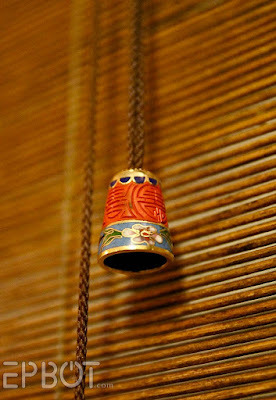 EPBOT: Quick Craft: Turn Old Thimbles Into Decorative Window Pulls! That's just stupid brilliant! What a fantastic idea, so simple. Those are everywhere, super cheap at yard sales and such. I used to have a bunch of ceramic ones, I bet those would work as well. I'm curious to see if it's possible to drill through the ceramic ones, since I know they sell special drill bits for glass & porcelain plates and such. If you try it, please let me know how it goes! I'd try doing the same as when drilling into tiles: cover the spot you are going to drill through with sticky tape (good quality electrician tape works best as it is a bit elastic and sticks well), only from both sides. Then start with the smallest drill bit you own and progress to thicker ones slowly until you reach the desired hole size. So when I was younger, my mom started 'collections' for my sisters and I. 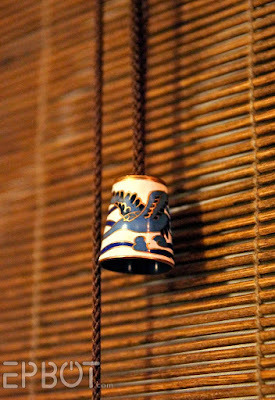 One got bells, one got banks, and I got...you guess it: thimbles. Ha! So I've got more than a few hanging around. This is fantastic! A+ Jen! If they were 5 for $10 I am going out on a limb that they weren't too valuable! This is a great way to display them and they are your colours! 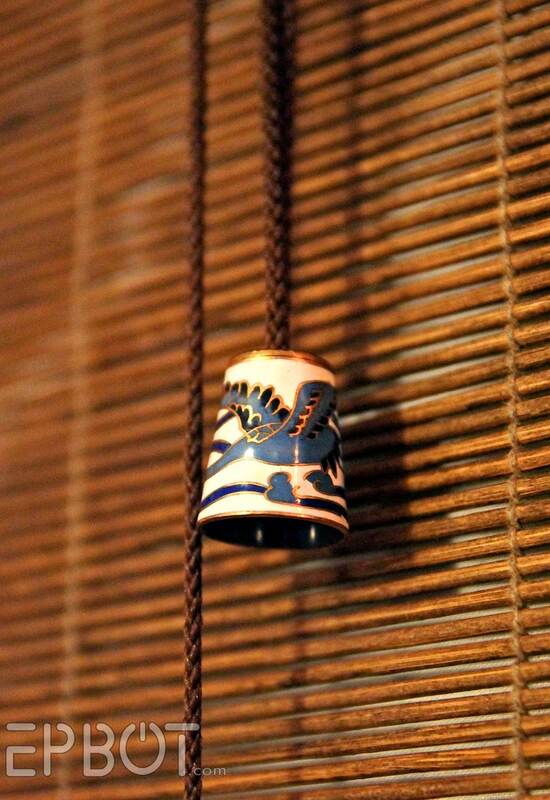 I had no idea there was such a thing as "decorative thimbles". How awesome! That's not ruining! What a great idea! They look incredible! I have some small broken bells that I could do this with! Thanks for the idea! I remember being ~*weirdly fascinated*~ by Aunt's thimble collection growing up and fricking love this idea. How can one person have so many amazing ideas?! I didn't even know decorative thimbles existed, and now that I've seen them, I can't believe how lovely they are. I need new blinds with thimble pulls on ALL my windows pronto! 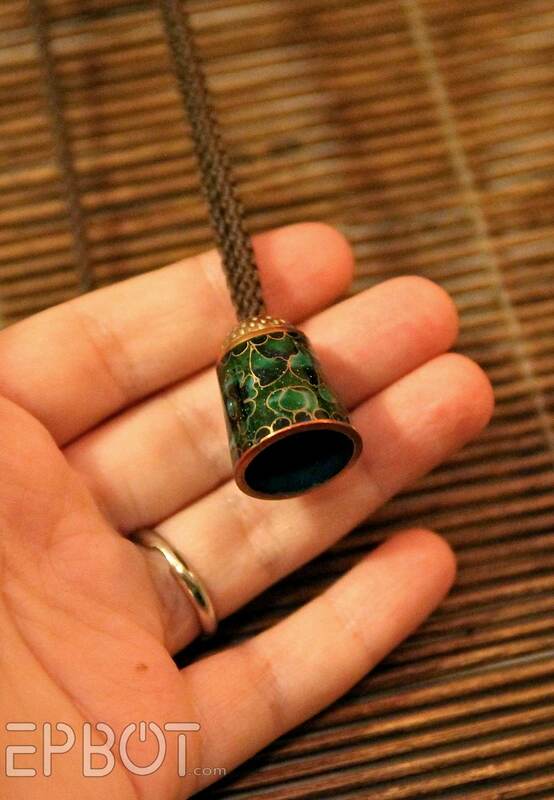 Ebay sellers are sure going to wonder why their decorative thimbles are selling so quickly. I bet this is going to become at least as popular as your flip flop hangers! 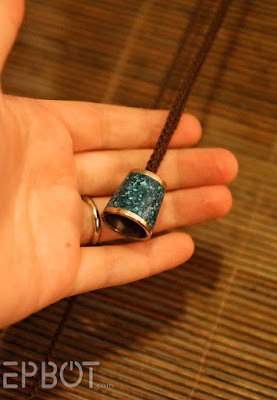 When I see thimble pulls in a thieving magazine soon, I'll be screaming, "Jen did it first!!" You're awesome and inspirational, as always! 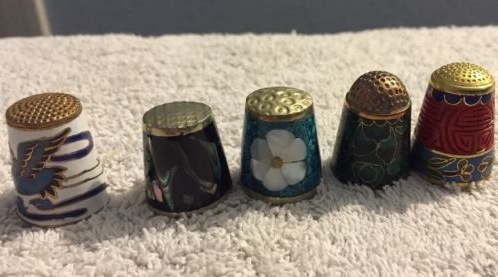 I think my parents still have my old thimble collection in storage...I think most of them are porcelain or ceramic though...would it even be possible to drill holes in those, or would they break I wonder? See my reply to the first comment for a method that might work. No guarantees though, start with one of those that are least important to you. That is absolutely AMAZING! I love it!!! This is a really wonderful idea! Thanks! Even I could do this, and I'm the least handy person who reads this genius blog! I adore this idea! Just brilliant. 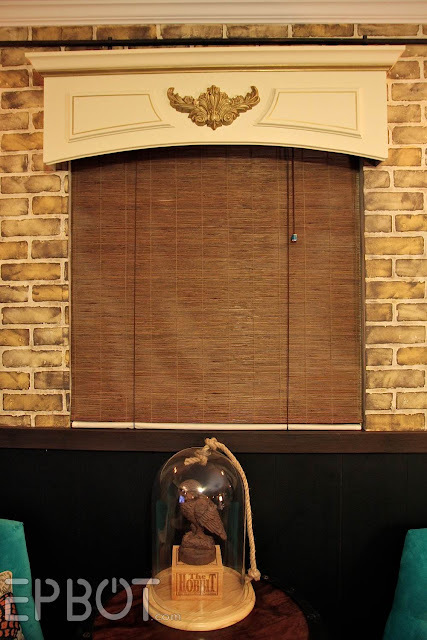 I just love doing little touches like this that make my home more "me". Even if no one notices those little touches -- I know they are there. 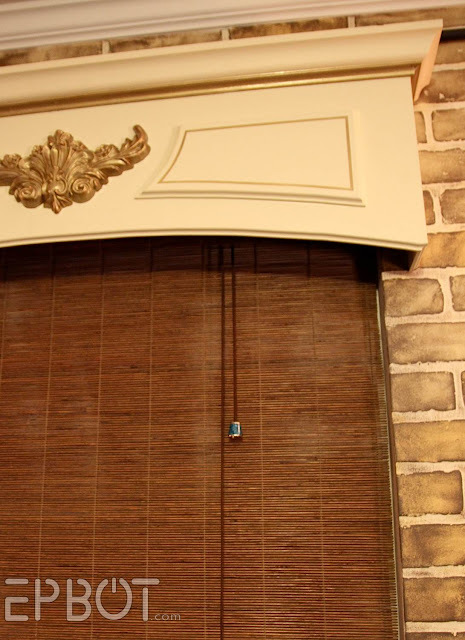 At a previous townhouse the master bedroom had a ceiling fan with two pulls - one for the light and one for the fan. I WISHED I could have found a pull that glowed in the dark. Just a little bit. Just enough so you could find the darn thing when you really needed to. Thanks for sharing Jen. I have been searching for affordable ceiling fan pulls that are not identical (so I can tell fan and light apart). Bullseye! Thanks so much. omg. my mother would kill me if i did that to her thimble collection. 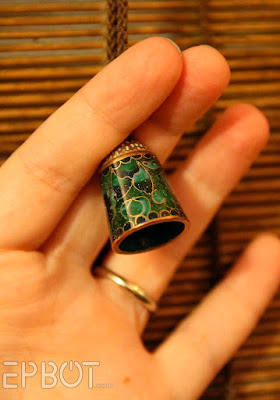 These were not 'cheap' thimbles, but glass enamel cloisonne on brass. You got them at a great price! I love the re-use, too.